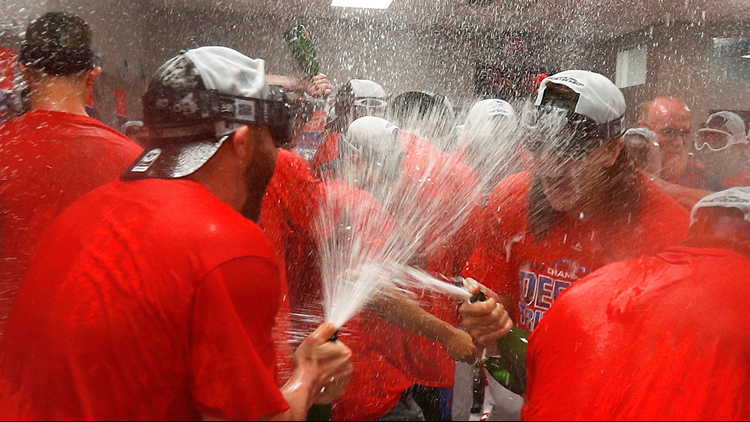 CLEVELAND -- The bubbly was spraying Saturday as the Cleveland Indians clinched their third straight American League Central Division Championship with a victory against Detroit. As the champagne soaked the locker room, the team proudly showed off their “Defend Tribe Land” T-shirts. Now, the team is gearing up for another run at the postseason.